With an instinctive ability to recognize talent, Brett has been able to build and surround himself with creative, inspired and confident teams throughout the years. Enormously proud of his organization’s ongoing accomplishments and determination, Brett attributes their consistent efforts and loyalty as a key element that fortifies his brand. As a stylist himself, he works alongside the team at both locations where he shares his knowledge gained from 28 years in the industry. Brett mentors emerging stylists yet still seizes opportunities to learn and be influenced by his senior staff, whom are considered some of Kingston’s finest talent. In an industry under constant evolution, staying current with all aspects of education has been paramount to success. Brett challenges himself to envision advancing techniques and trends while encouraging and creating opportunities for his team to do the same. Brett invites you to visit him and the JBC family to experience what sets us apart from the rest. Call either location to set up a complementary 15-min consultation! Chrissy has a passion that inspires others; she has mentored so many staff members that leadership has become second nature when she is on the floor. Chrissy’s passion is worn on her sleeve and she loves to encourage the team to have fun while they create! As Creative Team Director Chrissy loves the feel of the runway and photo shoots; she has coordinated Vogue fashion shows for Queens University as well as other events. She has traveled around North America to perfect her craft, and education fires up the creative juices that keeps the guests coming back. Chrissy joined James Brett when it was just a small 4 chair salon and has been dedicated to keeping the vision as pure as James Brett wanted. Quality, passion, fun, and fashion is what Chrissy’s guests love about her. Check out my Beauty Bio! Lyndsey has been with the JB family for seven years, and has recently started mentoring New Talent stylists. After attending the 2013 Aveda congress (Aveda’s international show), Lyndsey has been more than inspired to make a change and a difference in your look. She has a soft but straightforward demeanour, and though very humble she has one of the fastest growing colour clientele. Lyndsey would love to share in your excitement for any new colour or cut, and will ensure your hair stays healthy through the process. She has a hunger for education and takes full advantage of JB’s in-salon and Aveda education opportunities. With a passion for Aveda she customizes to each guest in her colour services and their home care needs. Samantha has been in the profession for twenty three years, and with JB for nearly fourteen of them. Sam’s natural talent and technical skill set makes her one of the most talented and versatile stylists on the James Brett team. Sam feels the balance between fun and professionalism at JB to be inspiring. She is a perfectionist who takes great pride in her craft. Mentoring many of our current young stylists, Sam takes pride in seeing them grow which adds to her long list of accomplishments. 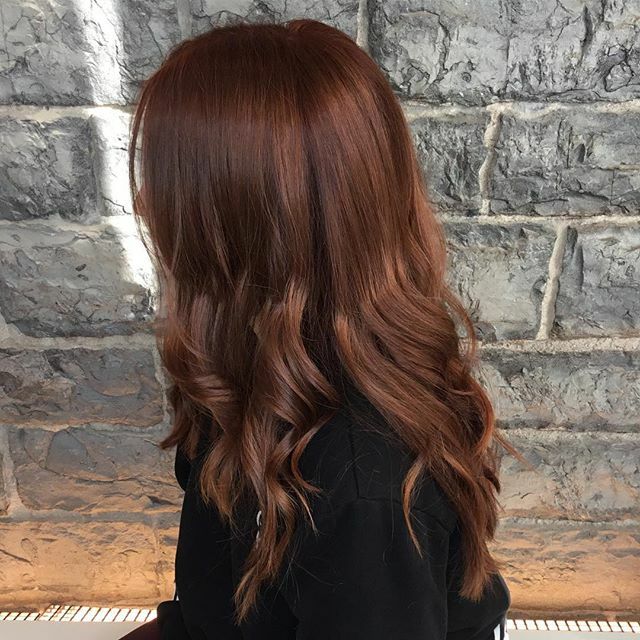 Sam’s clientele is among the most diverse at JB, she is capable working with all ages and styles, highlighting, colouring, cutting and up styling. Sam loves that she works in an environmentally and fashion forward thinking company. Since graduating from beauty school, Kaydian has become a highly sought after stylist. Kaydian has been with JB for six years and has found her niche offering extension services along with cuts and colours for men and women. Her positive impish smile may look mischievous but don’t be fooled, she is serious about her craft. Kaydian’s passion is creating funky, wearable styles and colour to enhance her guest’s natural beauty and confidence. Kaydian is committed to creating well-polished styles that her guests can recreate at home. Charlene has been part of the JB team for over ten years, and working as a hairstylist for eight. She has become a gifted stylist, excelling at highlights, lowlights, rich colours and beautiful cuts. Charlene’s guests appreciate her fun and nurturing personality, and as a result she has acquired a loyal following. She is grateful to have many regular guests, and always excited to meet new clients! Jenny Leigh joins us from Vancouver, BC, where she attended the John Casablancas Institute graduating from the hair art design program. We welcome her fun, positive attitude and unique sense of style which attracts a diverse clientele. Jenny Leigh loves all aspects of the hair industry though she favours barbering due to the intricate detail, technique and the sharp clean look. 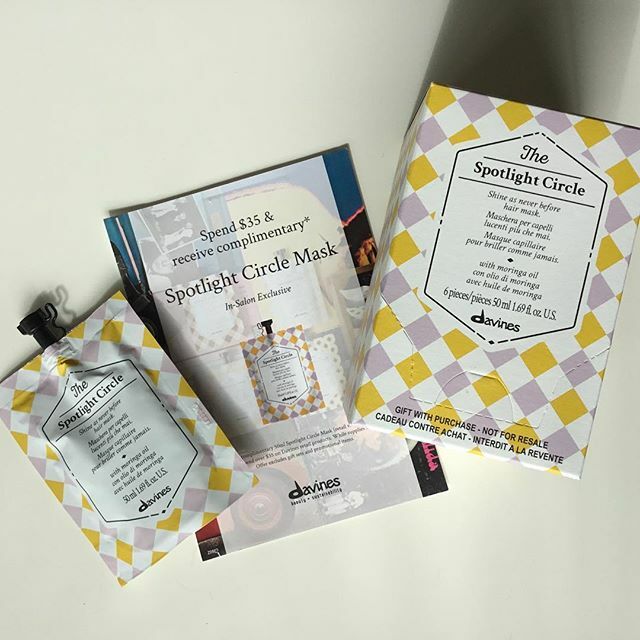 She works closely with her guests to help them achieve and personalize a fresh new look and suggest products that allows them to recreate the style on their own. Kate is an advancing stylist at James Brett Coiffure, passionate about learning and creating. Mentored by James Brett himself, Kate is dedicated to mastering her technical skill-set in color, cutting and styling, holding her work to the highest of standards. 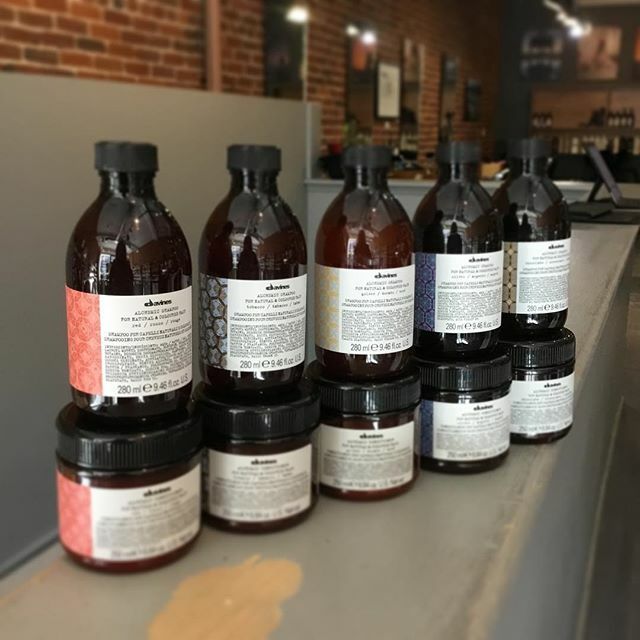 Kate takes pride in working for an Aveda concept salon, knowing that the product line and unique relaxation rituals are sure to pamper her guests leaving them recharged, and empowered with great hair they can recreate themselves between visits. Kate continues to expand her education within James Brett Coiffure, and always welcomes opportunities for growth. Emily is a St. Lawrence College graduate who was born and raised in Kingston. She believes that maintaining self care and a healthy balance between work and relaxation is essential to achieving a happier lifestyle. Her interests include non-invasive skincare techniques, massage therapy and body treatments, hair removal, makeup artistry and promoting healthy nail care. She enjoys customizing treatments to suit the individual needs of her clients, and performing services to promote relaxation and well-being in a comfortable and professional space. She has a passion for testing and educating herself about new products, key ingredients and their benefits; while continually learning hands-on skills and staying current with industry trends. Often described as a perfectionist, her attention to detail and enjoyment of building meaningful relationships with each guest is her calling card. Emily believes that helping people is often its own reward. She is happy to be working in a beautiful space as a valued member of the JBC team, and she looks forward to welcoming new clients! Sam has been a member of the James Brett Team for over 11 years and has been in the industry for over 13 . She is passionate about education and has taken on the role of Davines Salon Representative. She is excited to share her knowledge and skill with her guests and fellow team mates. Sam has a particular flare for formals and up styling, specializing in Brides and Bridal parties both in styling hair and professional makeup applications. She also is a certified Hotheads Extension stylist. 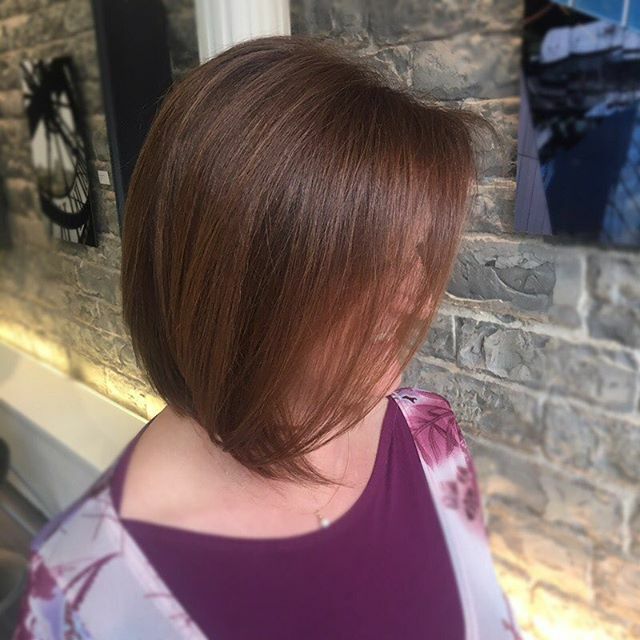 In keeping up to date with the latest trends Sam will help you achieve your ideal image for formal events and transition through seasons with fresh new styling in cuts, balayage and colour options. Sam has been part of training our new assistants and helps work as a mentor for our New Talent stylists. This has helped ensure that our guests receive consistently amazing services from each stylist. Sam has a busy schedule but is always excited to meet new guests and help them achieve an exciting new look. Liz takes great pride and has been styling hair for over 15 years, 12 of those years with the JB Team! 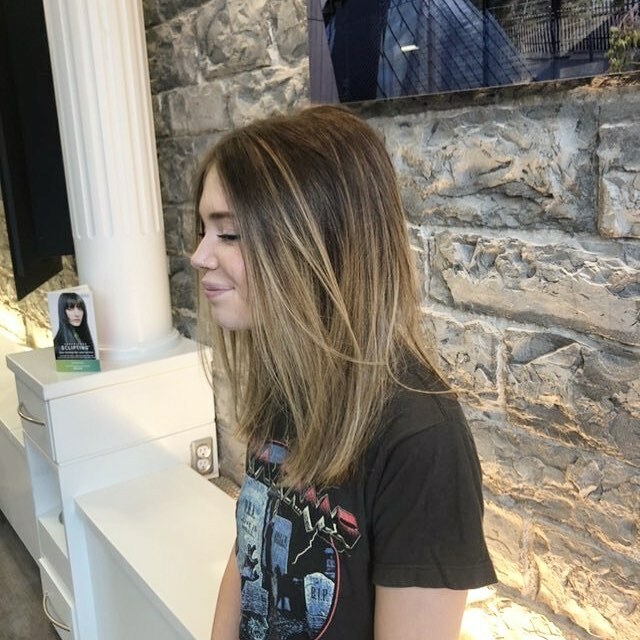 Working at JB with it’s forward thinking education and creative programs allows Liz the freedom to make big changes for her guests customizing each style and colour. She is up for the challenge of taking bold steps to re-create her guests desired image. Liz’s specialties in hair services include: creative cutting and colouring, highlighting and her extensive knowledge of the Aveda and Davines product lines will help her guests re create their salon look at home. Adding to Liz’s extensive knowledge in the hair industry she has a passion for mentoring and educating the JB New Talent stylists. Liz keeps on top of her game by attending education and International hair shows to keep her knowledge fresh and fun. This enables her to pass along current trends and helps keep her inspired to teach the next generation of young stylists. Although Liz has a full clientele she is happy to welcome new guests as well. 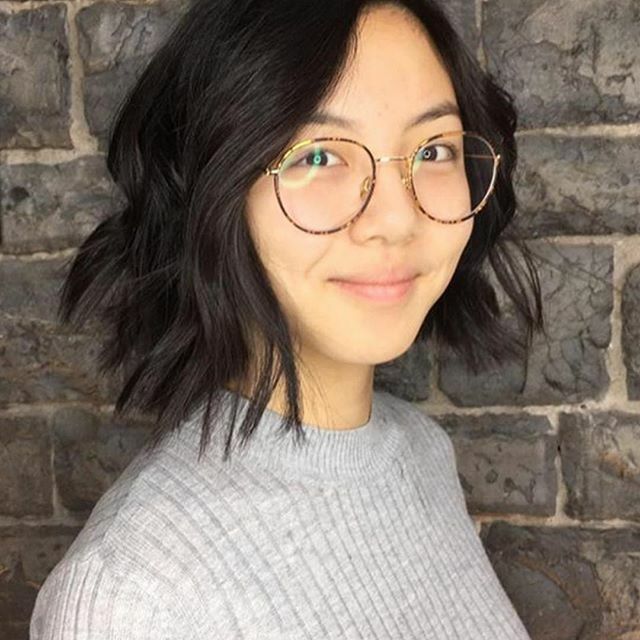 Jessie is a passionate senior stylist specializing in formal styling, bob cuts, and highlights. Jessie is fashion forward and makes guests feel young and stylish, creating easily styled looks and making small changes to keep them current. 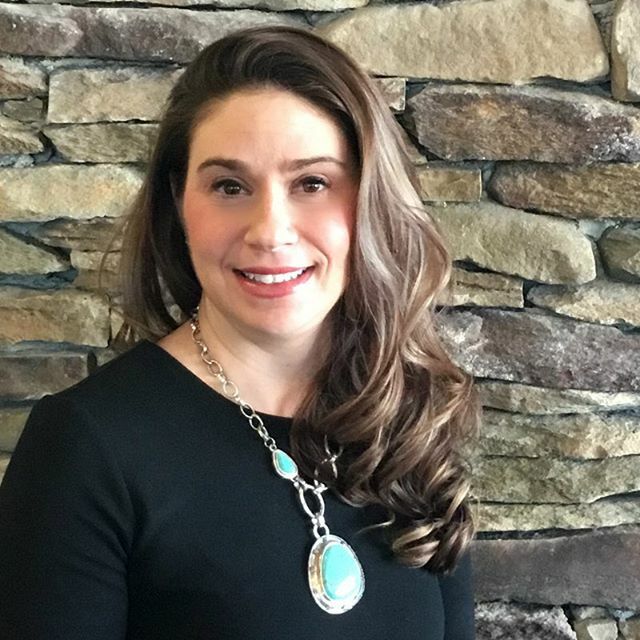 She loves her position at JB because it encourages her own personal mission of environmental responsibility through Aveda products and mindful waste disposal. The charitable causes JB donates to, including Earth Day and WaterCan, make her proud to be a part of an amazing team. Lisa has been a stylist at the West End JB location for over 12 years. She customizes her designs based on her guest’s lifestyle and always ensures each guest can recreate the look between visits. She is a mentor to her co-workers and her infectious warmth helps her create lasting connections with her longtime guests. She is especially talented in working with curly hair and enjoys men’s cutting along with women’s colours. Laura joined the James Brett Coiffure family in 2009. She is a dedicated member of our team who has spent many years perfecting her craft and the ability to tailor it to the appearance and needs of each individual guest. Laura’s solid work ethic, creative edge and commitment to technical growth have made her an in-demand stylist. Laura is always learning. She regularly takes courses and participates in salon education, to stay up to date with the most current of trends and techniques. Laura has an engaging personality and an ability to share her knowledge with ease. She has taken on mentoring roles in the past and loves to inspire creativity through learning in others. Laura is fascinated by shape and colour and the harmonious balance it takes to achieve the perfect look for her guests. She is extremely well rounded as a stylist and enjoys both the colouring and cutting/styling aspects of hair. 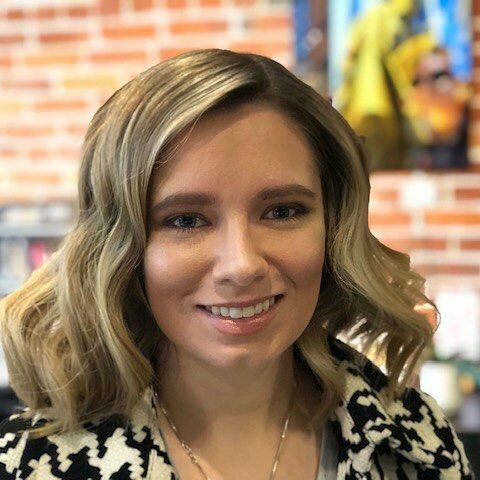 Laura has a particular talent for blonding and permanent texture services, but approaches all her work with a passion that inspires her guests to look and feel their best. Thomas recently joined the JB team with over twenty years’ experience behind the chair. He first began his journey in Los Angeles at Vidal Sassoon. He has continued his extensive training from California to Toronto and everywhere in between, staying current on the latest colour and cutting techniques. Whether it’s onstage at the ABAs or right here at JB West, Thomas’ passion and elite skill set is in colour and colour correction. As an artist, Thomas enjoys using Aveda’s full colour spectrum line to create a truly customized colour for every client; there isn’t a colour request Thomas can’t handle. When not in the salon, Thomas can be found soaking up the sun on a local patio or dock with his dog RJ. He looks forward to a lively future at JB West and can’t wait to meet you. Kira is a salon stylist with JB and with a growing clientele . She is committed to going the extra mile to make sure guests are well cared for and happy with the results of their services. She loves offering formal styles, and creating cuts and colours that complement a guests lifestyle and taste. She always educates her guests on product and technique to ensure they are able to achieve the look at home. Kira’s talent and passion has secured her a place on the creative team for the second year in a row. She is always asking questions to maintain clear communication ensuring that she provides the best experience for each guests. After over 3 years of hard work and education at JB Heather has acquired the skills of a Salon Stylist. Heather is gradually building a solid clientele and continuing to learn and grow through in salon education classes in both cuts and colour. She enjoys working with curly hair as well as the symmetry of men’s cuts. Customizing her colours with the Aveda colour line enables her to accomplish the desired looks her guests request. She excels at excellent customer service and makes sure all her guests receive an amazing scalp massage and a relaxing experience while in her chair. Be sure to book one of Heather’s signature blow drys, you will leave the salon feeling and looking your very best! Lisa has been with James Brett for twelve of her 14 years in aesthetics. She credits her longstanding career with JB to her love for the profession, her guests, and her colleagues. 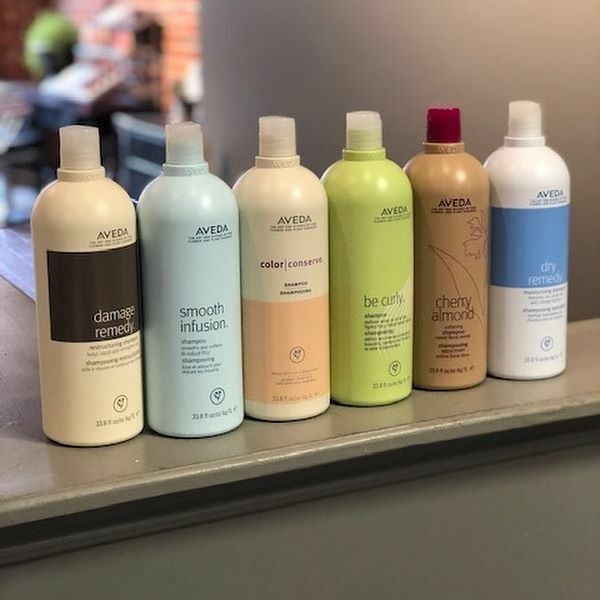 She has always been passionate about the quality and integrity of Aveda products and was very grateful to find a salon using the line out of school. Lisa appreciates the commitment to social and environmental responsibility of both the salons and Aveda, as well as the extensive training she has received through both networks. Lisa has built a fiercely loyal clientele who are the first to attest to her passion for helping her guest’s look and feel their best. Julie comes to the JB Spa Team from Kitchener bringing 14 years experience in the spa industry. With her extensive experience Julie takes pride in offering her clients amazing customer service and makes sure special attention to detail is given to every spa experience. Her charming and out going personality is allowing her to quickly build a loyal clientele. Julie specializes in facials, manicures, pedicures and waxing. With years of experience in laser technology she has taken on all JB’s laser clientele. We are extremely lucky and very excited to have her on our team! Please book your next spa appointment with Julie we guarantee you won’t be disappointed! Barb joined JB in July 2007 when our RioCan Centre location opened its doors for the first time. Coming from a sales and marketing background, Barb has been able to use her knowledge to develop business initiatives towards growing and maintaining the salon and spa environments. She prides herself on managing a creative team of Stylists and Spa Therapists that are passionate and caring about the clients they serve and that work cohesively together in an upbeat salon and spa.